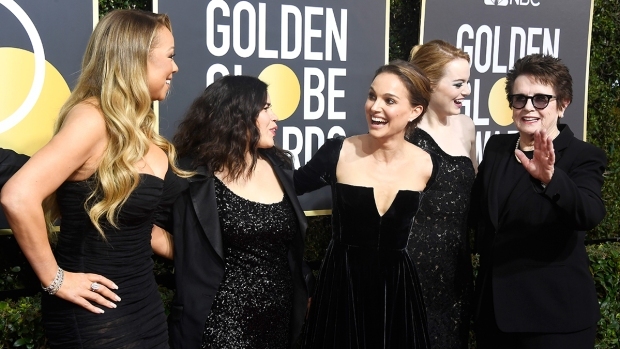 The theme of empowerment for women, visible in the sea of black outfits among Golden Globe attendees on Sunday, also played out in the themes, characters and actors honored by voters in the television category. The Globes honored actresses for their first three awards, and all three of the winners made it a point to talk about Hollywood's responsibility to tell stories about strong women. 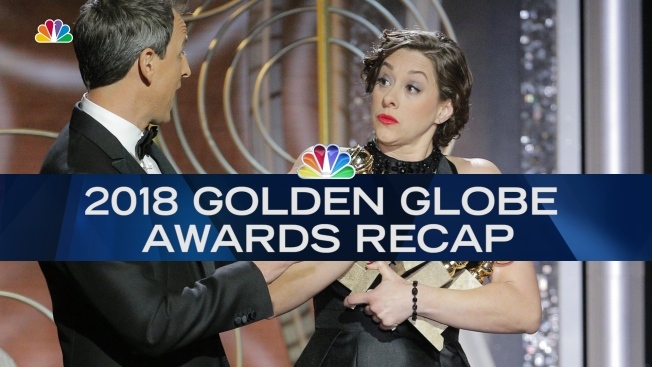 The Globes also repeated the Emmys in giving awards to Hulu's "The Handmaid's Tale" for best drama and Elisabeth Moss of that series as best actress. Moss stars in the dystopian tale of a society where the few fertile women are put in service of powerful men. She quoted novelist Margaret Atwood, whose book provides the basis for the series, in accepting her award. "Margaret Atwood, this is for you, and for all of the women who came before you and after you who were brave enough to speak out about tolerance and injustice," she said. Nicole Kidman beat out her co-star, Reese Witherspoon, as the Golden Globe winner for best actress in a limited series for "Big Little Lies," HBO's disturbing tale of suburban life in California. She saluted Witherspoon, saying she made the series "because of our friendship, our creative vision and support of each other." Kidman plays Celeste Wright, a woman who is beaten by her husband. The actor who portrays her husband, Alexander Skarsgard, also won a Globe for supporting actor. Both actors won Emmys for their role a few months ago. Laura Dern won a third Globe for the series for supporting actress. In accepting her award, Dern made reference to her role dealing with an abused child and tied it to what's going on in the world beyond entertainment. "May we teach our children that speaking out without the fear of retribution is our culture's new North Star," Dern said. Rachel Brosnahan won best comedy actress for her role in the "The Marvelous Mrs. Maisel," playing a 1950s housewife who pursues a career in comedy. One of Hollywood's most powerful female creators, Amy Sherman-Palladino, who created "Gilmore Girls," is behind the series. Brosnahan talked of being grateful to play a woman who is bold, brilliant and creative — and said there are many more such stories of women that deserve to be told. Holding the flag for network television, Sterling K. Brown of NBC's "This is Us" won best actor in a drama. He said he was grateful to the series' creator for making a character specifically written for a black man. "It makes it that much more difficult to dismiss me, or dismiss anybody who looks like me," Brown said.